Are you searching for a healthy and natural drink which could be perfect for your skin? This recipe is just perfect for you! It is healthy, tasty and refreshing! 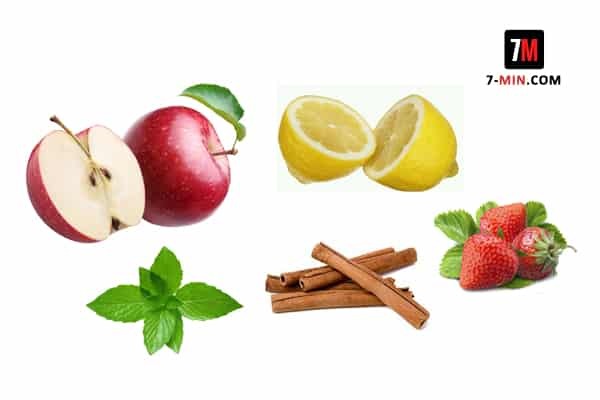 Lemon – aids digestion and relieves constipation. Strawberries – helps fight carcinogens and has anti-aging properties. Apple – has Vitamin C. It also helps your skin look better, repairs and maintains teeth and bones. Cinnamon – improves circulation and regulates blood sugar levels. It also controls calorie intake. Mint leaves – helps improve digestion and relieves stomach cramps. So, if you want to try out this recipe read more below! Add all the ingredients together in a large container. Add ice cubes when serving.